This adjustable 22carat gold baby bangles form an ideal gift for baby aged between 0 - 2 years. This delicate 22 kt gold baby bangle is with black beads which is usually worn on small baby as a good will. 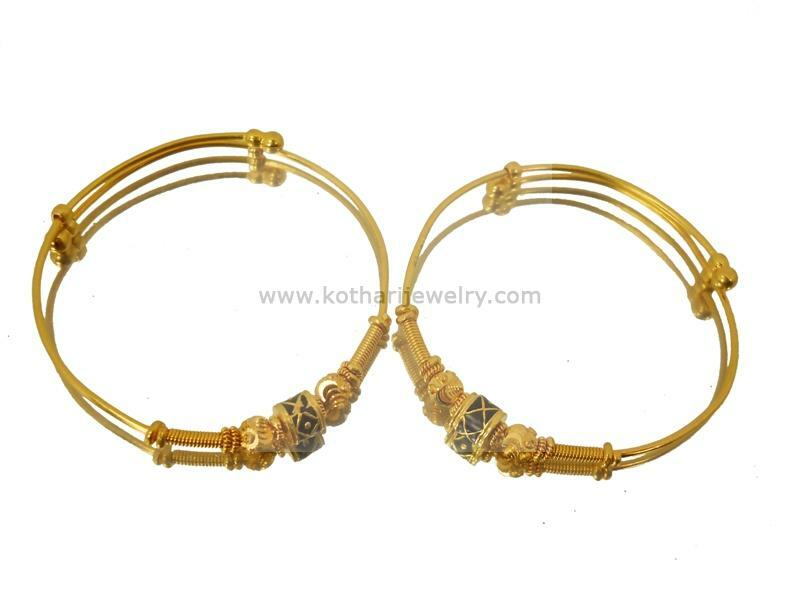 The gold baby bangle is BIS hallmarked for 22kt purity. The bangle contains enamel work of balck meena which is considered to ward "Evil Eye" or "Buri Nazar" in Indian Culture.